WEREWOLVES! You've stumbled across an actual pack of werewolves. Unsure if they're friendly or deadly, you decide to investigate. Who you gonna call - to check things out with you? As a fellow werewolf and a good one at that, Sam would be well placed to scout out the werewolf pack and give us some insider info! He can be trusted whether he's in wolf form OR in human form, which would be a relief. So long as it's not the full moon, Lupin would have lots of knowledge to share with us, as well as some tips as to if the pack is friendly or deadly. Oh and hopefully he can brew that handy potion for us all too! Sammy's had more than his share of experience dealing with Werewolves. He's level headed enough to give them the benefit of the doubt, but if they end up being trouble, he'll take them down in no time. Fans of the show know that Ten has actually encountered a Werewolf and lived to tell the tale! He also put Rose's safety as his top priority so if I'm going to take down a pack of Werewolves, I want him there! Plus Ten will be sure to give these creatures a chance, should they be friendly! In the event that this pack isn't friendly, Klaus' status as a hybrid will most definitely come in handy. We'll probably need the rest of this crew to keep him in line, but it'll be worth if if these wolves need to be taken care of. Just sit back and watch the fur fly! ♥ Lupin was a must: my favorite werewolf of all time! Sam was a no-brainer for me but I was sure you'd go with Cole XD Your reasoning makes total sense though lol! Happy birthday Nox!! Werewolves- love the topic. Is Sam from Bitten? I admit I don't really know these, but so what. lol it's still fun putting teams together ha ha. 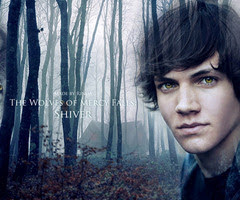 Thank you Greg :D Sam is from Wolves of Mercy Falls! Sorry, I usually add which book/series the characters are from but I forgot this time around! It really is though LOL! Ohh, I do love werewolves! I would probably add Luke from The Mortal Instruments to the list. Lupin is my favorite werewolf. I might take Snape with me too because he could bring a certain potion along with him if needed. Same here^^ I was actually hoping Lupin would have some of that potion handy! Aww Happy Birthday Nox! I love that Lupin is on here. You're right, we'd have to make sure it's not the full moon but he's definitely level headed and can help sort things out. I also love that you put Klaus on here. I haven't been watching The Originals but I saw him take down Tyler a time or two so I know he's more than capable. Great picks!